c) one annual payment of €100. Western Alzheimers, Ballindine, Claremorris,Co Mayo. Alternatively you can play online- see below. Two Ways To Play Online. 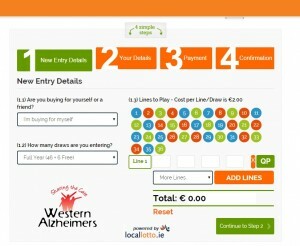 Western Alzheimers has teamed up with LocalLotto.ie and SmartLotto.ie to give you 2 great ways to enter our weekly draw online. Enter your lines of numbers for up to a year in one go; you need never miss a draw again! Play for yourself or gift to a friend! 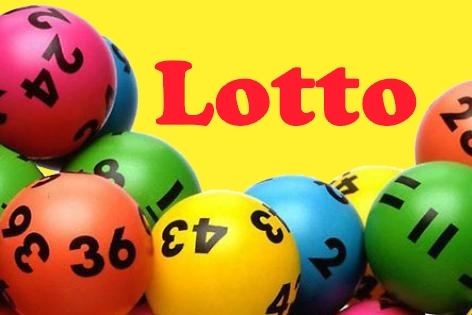 When playing online you will receive the Lotto results and news updates by email after each draw has taken place. To play just choose any four numbers from 1 to 36. Match the four numbers drawn on the night and win or share the Jackpot. 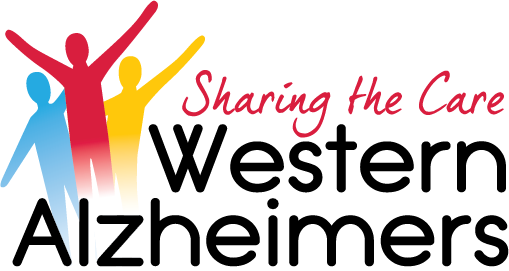 Western Alzheimers Fundraising Lotto draws take place each week and play a huge part in our fundraising efforts. Thank you for playing!